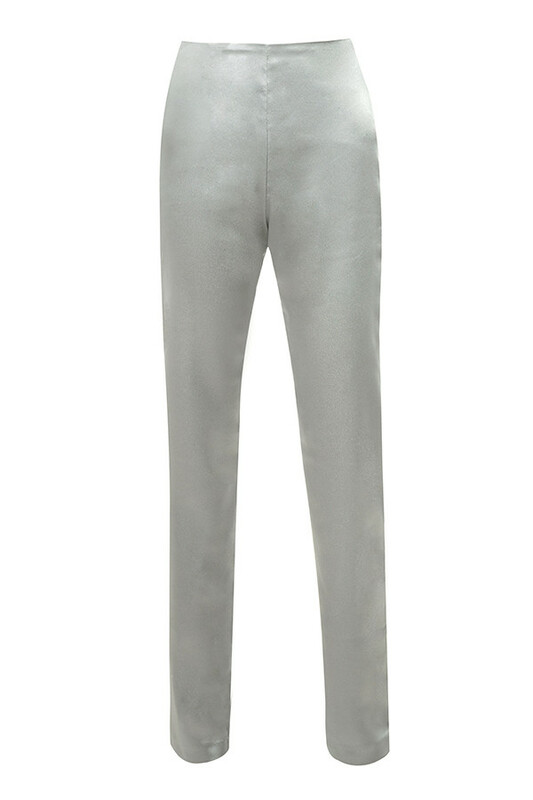 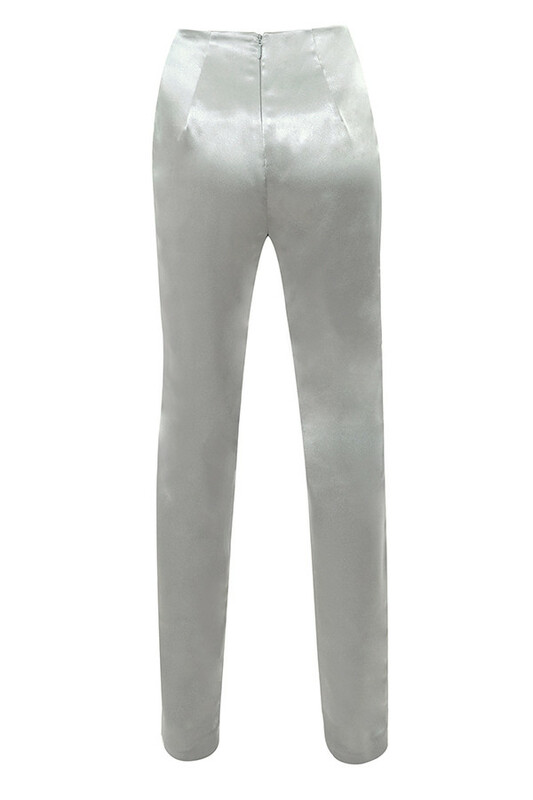 These lustrous silver satin trousers have a super flattering cut, high waist and tailored legs. 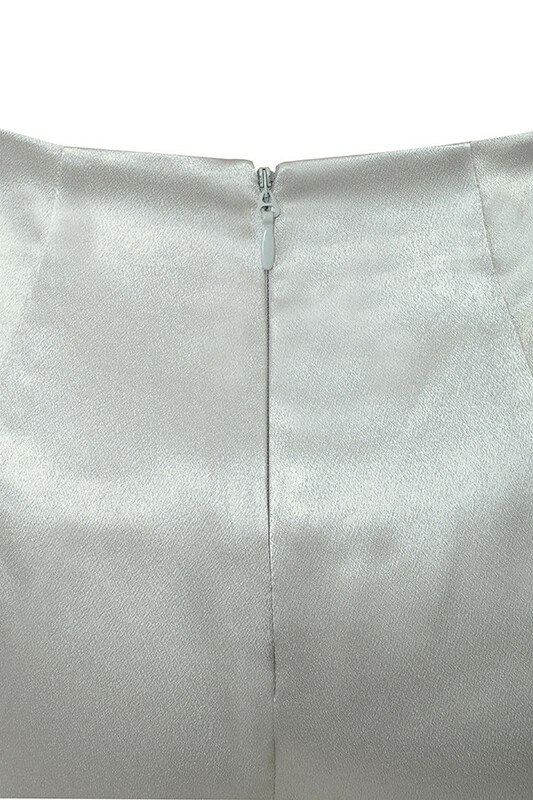 The flat front is super flattering and they fasten at the back with an invisible zip. 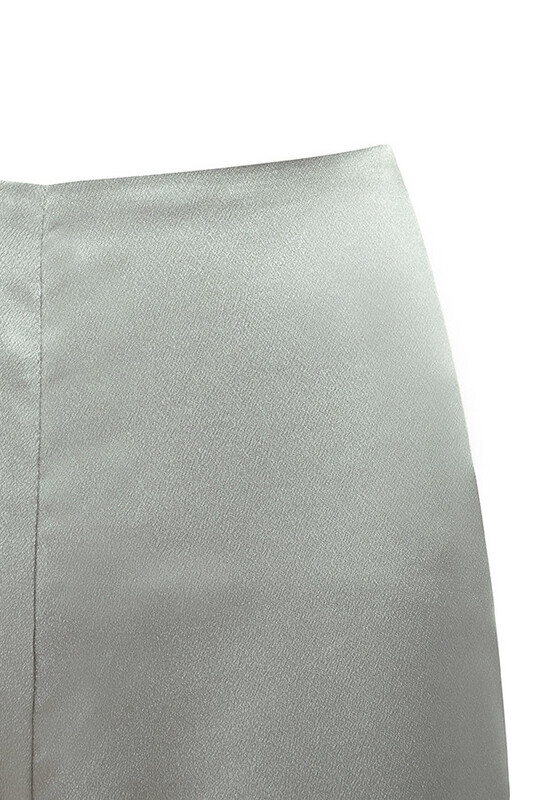 Wear yours with a bodysuit and tonal sandals.